Paint Shield® doesn’t just inhibit the growth of common microbes; it actually has the power to kill harmful bacteria, including Staph (Staphylococcus aureus), MRSA, and E. coli, thereby giving healthcare systems and other facilities an important new tool to help prevent the spread of these bacteria. EPA-test protocol showed that once it is applied, the effectiveness of Paint Shield® lasts for up to four years, as long as the integrity of the surface is maintained. 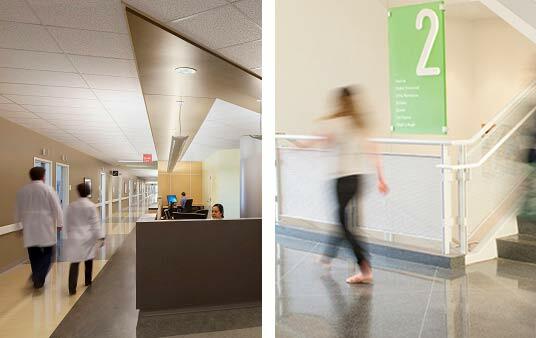 Paint Shield® was created with the intention of being used in non-critical areas of the hospital including patient rooms, hallways, office areas and emergency departments. Beyond health care environments, it is ideal for a variety of settings such as athletic facilities, schools, day care centers, senior care communities, residential housing, hospitality settings, and cruise ships. Paint Shield® can be applied on interior hard, nonporous ceilings, walls, doors, and trim. It is also available in 550 colors and comes in the popular eg-shel finish. Paint Shield® Microbicidal Paint offers form and function at assisted living facility. Paint Shield® Microbicidal Paint is a sound investment for Indiana clinic. The VA Long Beach Health Care Campus recently applied Paint Shield® in all their medical service rooms. World Housing Solution has completed a new application of Paint Shield®, which will further the company’s mission of revolutionizing military housing. During an interior repaint at the Manahawkin, N.J. urgent care center, Sherwin-Williams Paint Shield® was used to provide a healthy community for residents and visitors. Sherwin-Williams Paint Shield® Microbicidal Paint played an integral role in the expansion of the oncology unit at Northside Hospital in Georgia. Sherwin-Williams Paint Shield® Microbicidal Paint was used in eight treatment rooms and both bathrooms during a complete repaint at a medical spa in Nevada. Sherwin-Williams Paint Shield® was the perfect product to help with the renovation of a recreation center, as part of projectPhiladelphia. A project manager at Boston University found Sherwin-Williams Paint Shield® to be the perfect product for the repaint of the student recreation center.